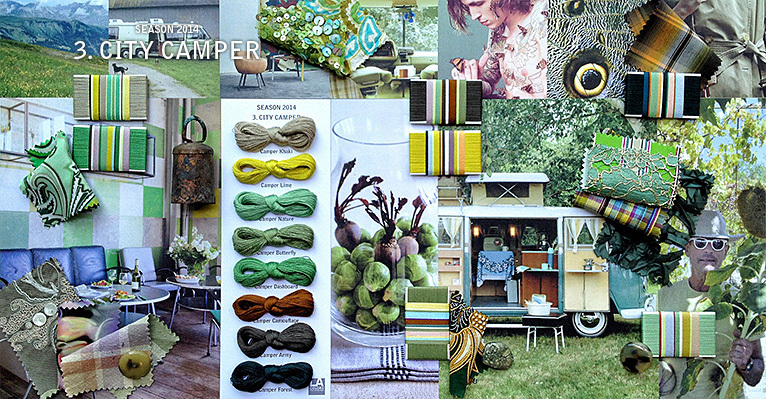 CITY CAMPER - The best thing about living in the city is that we can take our camper and drive out of it. Escape the asphalt by crossing into nature. We all want to spend our summers on an alpine meadow, inhale the pure oxygen and count butterflies. We are inspired by nature, and enjoy a bit of fresh air in lush and vegetal colors. We hide in camouflage prints and save the planet. Research the unknown qualities of nature, be fascinated by biomimicry, and learn from the gecko to walk on walls. To escape gravity. To dance on the ceiling and feel free. We recycle shipping pallets, and make furniture out of it. We handcraft rattan. And pluck fresh sunflowers in full bloom. We decorate our home with vegetable dyed fabrics, and rediscover natural materials.